Kim Kardashian broke out some faux blunt bangs to channel Audrey Hepburn for a very unexpected photo shoot in Miami on Wednesday, April 15. The 33-year-old reality star truly loves old Hollywood glamour, and though we wouldn't bat an eye if she were to attempt to channel Ava Gardner, Marilyn Monroe or her "idol" Elizabeth Taylor, Hepburn -- the original waif -- is hardly someone we'd ever expect Kardashian to style herself after. 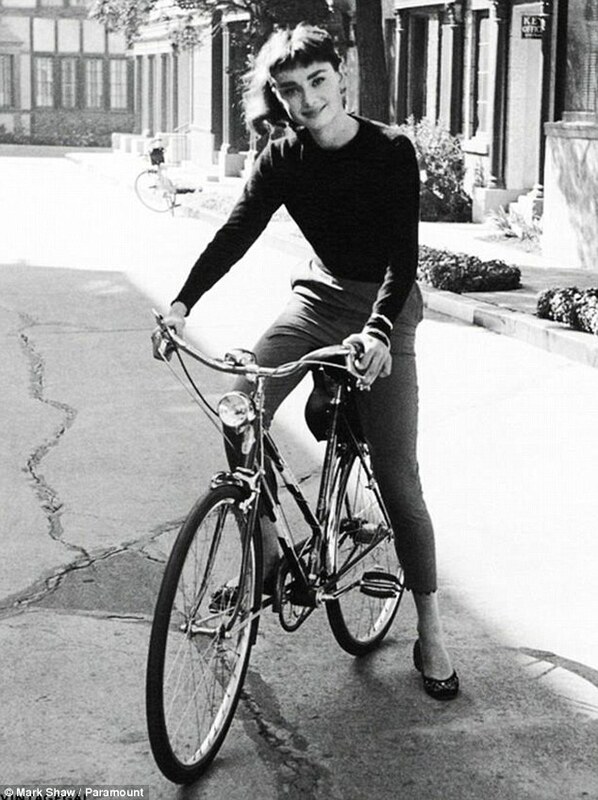 And yet here she is, riding a bike around Miami as part of a photo shoot for an energy drink commercial -- dressed in a black turtleneck shirt, cropped pants, and a very un-Kardashian pair of black ballet flats, just as Hepburn did in a photo taken on the set of "Sabrina" in 1954. 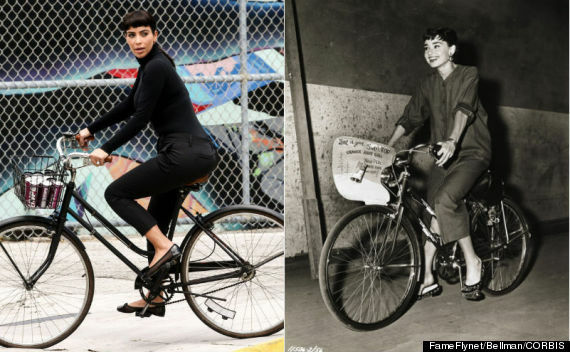 Kim Kardashian in Miami on April 15, Audrey Hepburn on her bike in 1954.